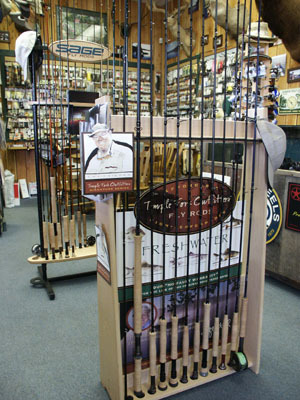 Mastering the Basics of Fly Fishing was originally an outline that I followed when I taught classes on fly fishing. Working for an outfitter and fly shop owner in Hamilton, Montana, I taught a number of parent/child introductory classes. Later when I set up my Montana Fly Fishing site in the early 90's, I expanded this article for adults who wanted to learn on their own, as well as parents wanting to teach their children the skills of fly fishing. It continues to be one of the most visited sections on my Montana site. The instructional program is broken down into the sub-categories below. The entire article is stored on my companion web site, www.fishingtips101.com. This page contains a single entry by David Archer published on April 30, 2008 9:59 AM. Fishing with Lures was the previous entry in this blog. Fishing with Ant Eggs is the next entry in this blog.